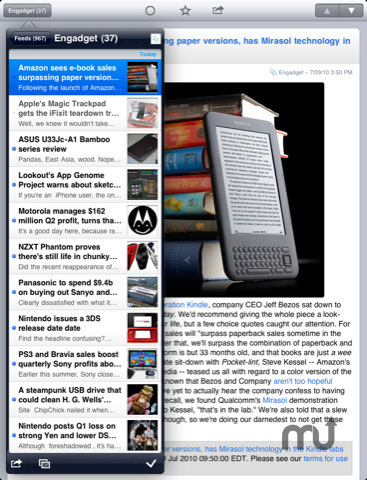 RSS reader with keyboard controls and Google Reader sync. 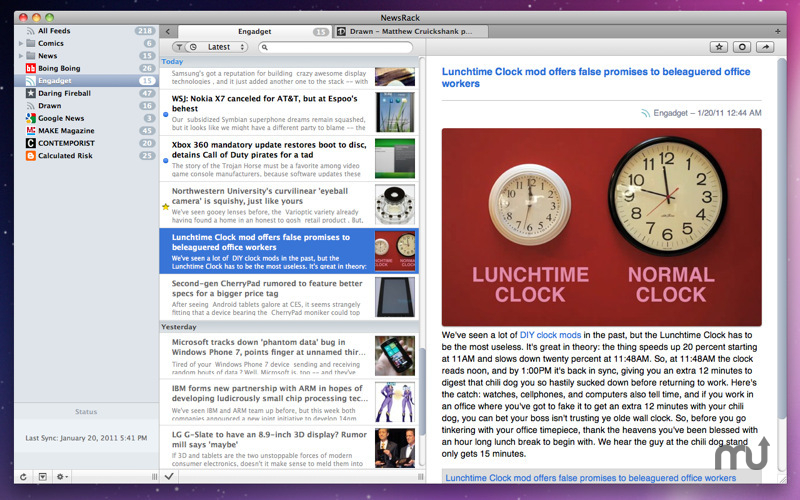 NewsRack is a powerful RSS reader for Mac OS X that can be fully synchronized with your Google Reader account (if you want to).It offers a keyboard-friendly, tabbed interface that stays out of your way, so that you can focus on the news you care about.Features:- Synchronization with Google Reader (optional, can also be used without a Google account)- Drag and Drop editing of your feed list- Thumbnail image previews- Tabbed browser- Keyboard-friendly interface- Import of feed lists (OPML) from other apps- Instapaper and ReadItLater integrationNewsRack is also available for iOS. 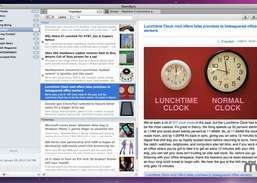 Learn more on newsrackapp.com. 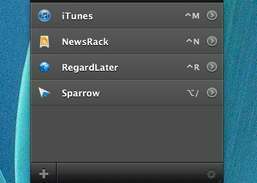 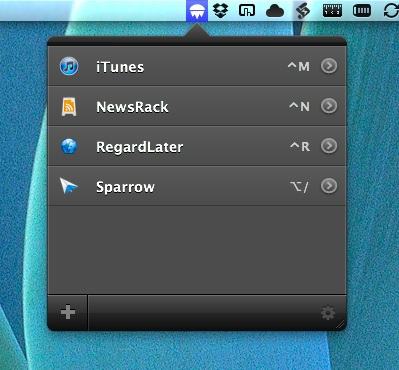 RSS & Atom news reader. 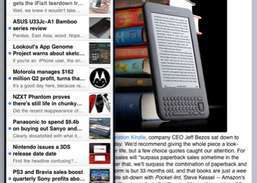 Assembles your RSS feeds into a personalized newspaper.